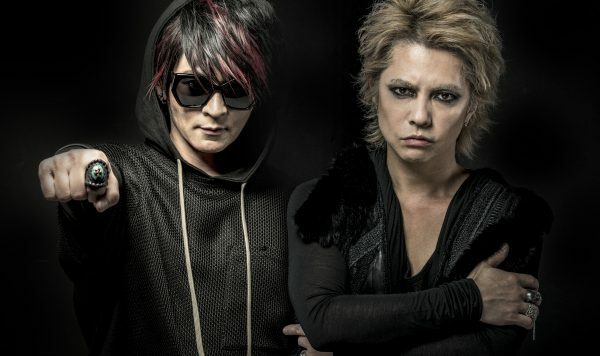 In the world of metal, the duo of Hyde and K.A.Z have made their mark as pioneers in Japanese music with their band Vamps. In their most recent album titled Underworld, the duo collaborated with Kamikaze Boy of MAN WITH A MISSION, Chris Motionless of Motionless in White, Richard Kruspe of Rammstein, and Apocalyptica. On their Atlanta stop for their album tour for Underworld, I had the honor of interviewing both Hyde and K.A.Z at Atlanta’s Center Stage. As they don’t speak English as their primary language, their tour manager Hiroki served as a translator. 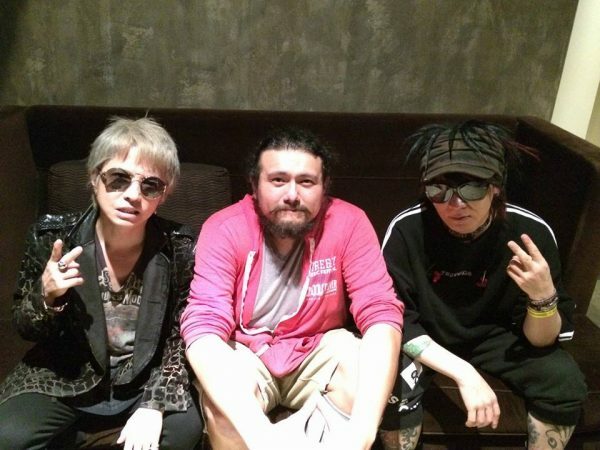 Hyde and K.A.Z, it’s a pleasure to meet you guys. Let’s start. As you have been on a few tours in the United States, how do Japanese fans differ from American fans? Hyde—Fans in America have more freedom. They go super hard and really show their true feelings. People go crazy. K.A.Z—In Japan, audience engagement is different from what you see in America. It’s very uniform with everyone doing the same thing. If one person is head banging then others join in. In America, everyone is different. On your most recent album Underworld, you collaborated with many artists. Tell me about making the album. Hyde—We both really enjoyed working with all the different artists and producer Kane Churko. The album came out exactly as we wanted. We liked working with Apocalyptica the most. We have toured with them before and became good friends. We had very tight performances while touring with them. Working with them again was great. What got you guys into music? Hyde—I was originally in art school for drawing and painting. While there, I fell in love with music. I found it was a better way to express myself. There is more freedom in music. And it’s simply cooler. K.A.Z—My older sister played piano. I wanted to follow in her footsteps and learn piano as well. However, my school friends got me interested in rock and roll. I started listening to Iron Maiden and the Scorpions. I liked it a lot more than piano music and fell in love. So I learned guitar. Food abroad is very different from traditional Japanese cuisine. What is your favorite food to eat while on tour? K.A.Z—I like to eat Indian curry and tacos. Very tasty. Hyde—I like to eat cup noodles. Like ramen, but just the noodles and no soup. Why metal music and not Japanese pop music? Hyde—We wanted to follow the “American dream” as you put it. We saw many famous Japanese abroad but not many in music, especially in rock and roll music. We wanted to be a pioneer in Japanese metal as we both really enjoy the music. We wanted to keep true to ourselves. If you had to play a different instrument, or in your case Hyde not sing, what would you play? Hyde—Well, I would play the drums. It would be a good exercise (jokingly). Where do you see yourselves in a few years? Hyde—We want to play at a big venue. We want to play Madison Square Garden. K.A.Z—I can finally become a drummer (jokingly). What advice do you have for other musicians? Hyde—If you keep playing, you can get girls, money, and fame. Who doesn’t like the industry? K.A.Z—Actually, I want advice from others on how to do better. Then we can become the best. Hyde—We have had good vibes so far. This is not our first tour, but it is our first time in Atlanta. Even so I feel very confident and relaxed going into each show. I know tonight will be a great show. K.A.Z—Our tour is based on our new album. I am very confident in our new album. We want to deliver good music to our fans. The producer on the album did a great job keeping true to what we wanted. Because we are showcasing our album, the tour has been good. What hobbies do you guys have outside of music? Hyde—We both like to snowboard. It’s very fun. K.A.Z—Yes, we both snowboard. When I was a kid I used to snowboard a lot. My family moved to Tokyo and I couldn’t as much. However, after we moved I broke my ankle. After getting surgery, I used snowboarding as physical therapy to regain movement in my ankle. I took rehab to the extreme. I have one last question. Seeing as you guys are from Japan, the place where anime reigns supreme, what is your favorite anime? Hyde—I like Neon Genesis Evangelion. I grew up watching Devilman as a kid in the 70s. Evangelion and Devilman are very similar to each other. K.A.Z—I’m not currently a very big fan of anime. However, when I was a kid I used to watch an anime called Makoto-chan. Check them out on their tour at: http://concerts.eventful.com/VAMPS.